Turning Vision Into Action: Finding Formative Assessment while Checking for Understanding! 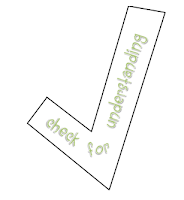 Finding Formative Assessment while Checking for Understanding! It’s April and that means…. Mathematics educators from across the U.S and Canada (and parts of the world) come to our national meetings for mathematics. I have been attending the National Council Supervisors of Mathematics (NCSM – mathedleadeship.org) and the National Council Teachers of Mathematics (NCTM - nctm.org) meetings every year since 1980. I have colleagues who have been attending as far back as 1961 – but I won’t name them here! The annual meetings provide a time and an opportunity every year for us to refresh and renew in our knowledge development and our relationships with so many mathematics educators and leaders facing the same issues and problems we face in our local schools. I had the opportunity to speak at both conferences this past week and I am grateful to the many of you that attended those sessions. It means a lot to me and always inspires and surprises me that so many would choose those sessions when there are other wonderful choices as well. I promised all in attendance that I would post my presentations from these sessions. Here they are. Two one is listed under NCSM and one under NCTM. Just click on the icon and you will find the pdf's there. Of course with the CCSS Assessments looming ahead in just two short years (and the Texas TEKS on top of the Texas teachers) it seemed that so many sessions focused on Assessment this year. In some cases Formative Assessment as it applies to in-class instruction, and in other cases Formative Assessment as it applies to the purpose and uses of summative tests. As I listened and participated in so many sessions during the five days, it occurred to me, that the CCSS M and more specifically, the Mathematical Practices call us to a new standard of K-12 classroom lesson design. When I was teaching in the 80’s and 90’s there was pressure on me, to teach using small step instruction, with lots and lots of small group discourse. The primary management tool for this was called Cooperative Learning and the instructional vision for it, was based to some extent in Madeline Hunters’ notion of Guided Practice. Yet, cooperative learning and guided practice were often misused and abused ideas about what good mathematics instruction was to become. It generally missed out on the deep discussions student peers were to have with one another and it did not develop the deep commitment teachers were to make toward providing formative feedback to students during those discussions. 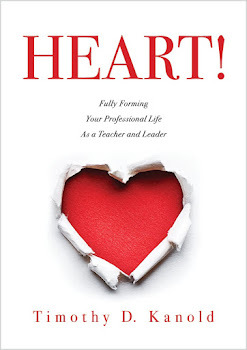 I wasn’t expected – as the teacher - to do anything with those checks. Nor were the students expected to do much either. And as we entered into the first decade of the 2000’s – many of us digressed back to the worse thing we could do: Check for understanding from the front of the room using whole group discourse – mostly with the chosen few who responded to our questions – and perhaps even worse – only check for understanding on low cognitive demand tasks. And why did we digress back into 1980 and 1990 habits despite the PSSM process standards call from NCTM and the adaptive reasoning call from the National Research Council? Because it was easy. More efficient. Less pressure to prepare when crunched for time, and in some cases it fed teacher malaise or laziness toward their craft. But the CCSS M and the Mathematical Practices expectations for student demonstrations of understanding and proficiency in these standards is exactly the kick-start we need to stop the drift. Stop the malaise. 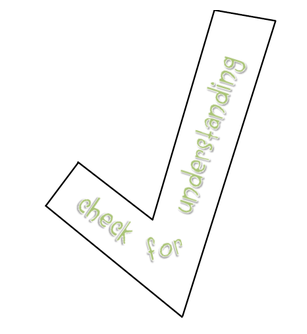 Stop the practice of checking for understanding in a way that does not promote student learning. (Note: These problems or tasks can take 2 minutes, 20 minutes, 2 days, etc… time length can and should vary). 6. We provide advancement and assessment questions that guide some student teams into deeper levels of thought then originally expected. Unless the students – during these small group peer-to-peer moments – take action on the feedback you give them then the formative process is empty. This means that during the classroom period or mathematics time in an elementary class, you must pose some problems that require more complex levels of student reasoning, you must go out among the student teams and monitor their work and understanding, you must give each team feedback and help them stay actively engaged in elements of the problem, and then, you must make sure they take actual action on the problem. That is a very tall task. The CCSSM will demand a lot from us every day, for the rest of this decade. But we can do it. We must do it. Students deserve to learn mathematics with understanding. 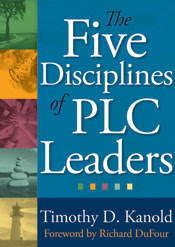 In our 5 book PD series Common Core Mathematics in a PLC at Work™, we provide a simple Lesson Planning Design tool for you to use toward this end. I hope you can make it your own. I wish you the best in this formative assessment pursuit - it is so much deeper than what was required of us just a decade ago, as math teachers. Help your colleagues too. We will need confidence and skill to become effective 21st Century Mathematics Teachers.